Hello everyone. Here is another update. 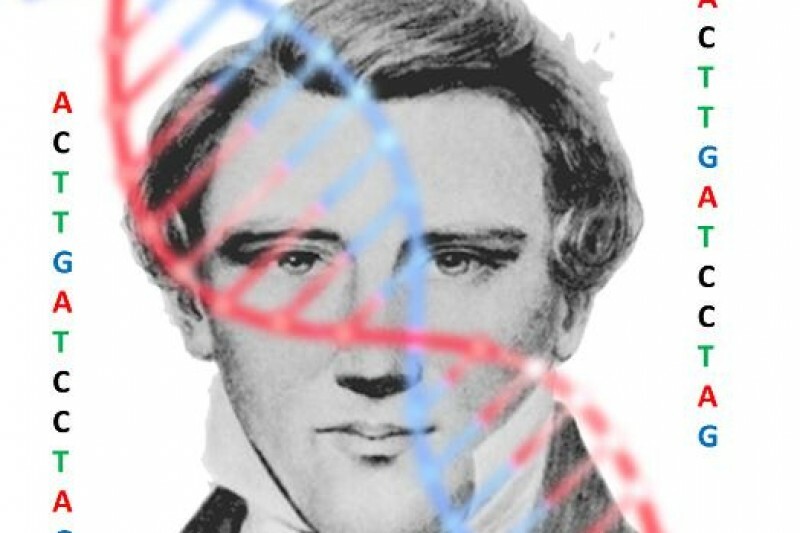 The scientific version of the paper on Joseph Smith/Josephine is near completion and I hope to have it ready for submission some time in November. We just ran a few more analysis to strengthen our conclusions. I am also continuing data collection and analysis with regard to the paternal and maternal origin of JS through the Y chromosome and mitochondrial DNA respectively. Please share this project. Thanks. 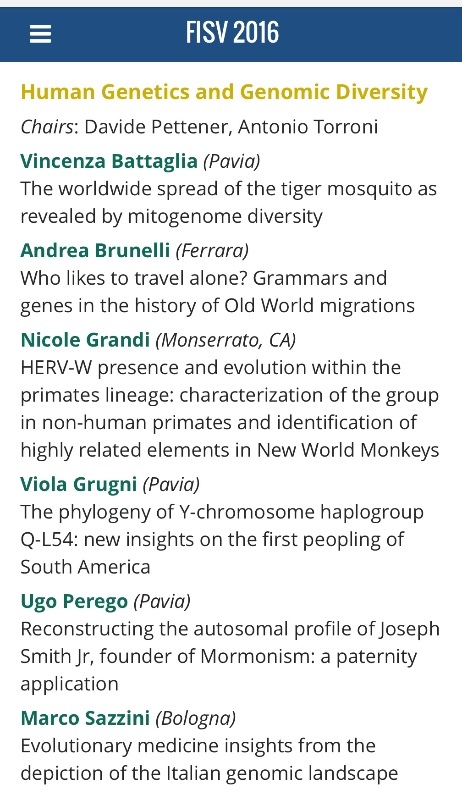 Excited about presenting tomorrow afternoon at the 14th Italian Federation of Life Sciences on my work on Joseph Smith DNA. Also, I am making progresses with two publications, one for a humanities and one for a science journal. The next step is to work on some more genetic ancestry using the Y chromosome and mirochondrial DNA I have reconstructed for JS as well as assembling his nuclear DNA profile. Donations are still welcome and very much appreciated for this project as I am working as an independent researcher on it. Thank you! LIVE! 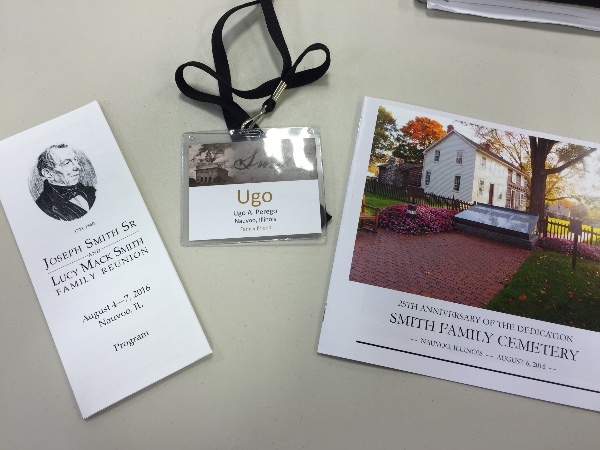 Attending the Joseph Smith Sr. and Lucy Mack Family Reunion in Nauvoo as a family friend. There are a few people here I would really like to collect a DNA sample as part of reconstructing and preserving Joseph Smith's genome. It is good to be here. As many of you already know, the presentation at the Mormon History Association in Utah was well received. The research into Josephine Lyon's biological paternity showed that her DNA was shared with other Lyons and not with the Smith family. Genealogical and genetic data is now available at http://www.JosephSmithDNA.com/Josephine_Lyon, together with a white paper explaining the background to the study. Two papers about this project are in progress. One will be submitted to a journal on Mormon history and another one to a scientific journal. A publication in a scientific journal will require a strict peer-review process, but it will provide more visibility and credibility. Others may benefit from the scientific approach introduced with the Joseph Smith/Josephine Lyon case. However, publications in scientific journals are expensive if we want the article to be open source (available for free to everyone) and not behind a pay wall (as many scientific journals require nowadays). The estimated fees are in the range of 3 to 4 thousands dollars. If you would like to help, this is what the money will be used for. Here is the Deseret News article about the MHA presentation. Sorry, it's the first link included in Update 1 that does not work. The second link under the "I have a PhD" does work. And it works now, lol. Not sure why it didn't the first time, ha ha. Maybe you fixed it that fast. The link www.JosephSmithDNA.com. above doesn't work, and I think it's because of the period at the end that is connected to the link. Wanted to let people know it does work if you type it in your search bar without that period at the end. In an email you sent me earlier in the year you wrote that you are "working two separate articles that are taken from my 2017 Fairmormon presentation. The first one focuses on the title of my presentation, What does the Church believe about evolution? and the second one talks about updates on the Book of Mormon and DNA Studies gospel topic essay, which I helped in compiling." Is it possible to know when these presentations will be available? Will they go on your website? The work you are doing is important. Thank you for doing it.